As your commercial roofing contractors, we will do everything we can to exceed your expectations in Bradford, ON. As a business owner, you don’t have time to deal with a roof that falls into disrepair. Fortunately, you have us at Slippery Slope Roofing to help you with all of your business’ roofing needs. We are commercial roofing contractors who serve the Bradford, Ontario area and are dedicated to complete client satisfaction. We will treat your property respectfully and ensure that your operations are only minimally disrupted when we work on your roof. Our team will work quickly, regardless of whether your roof needs a few repairs or it needs to be replaced. 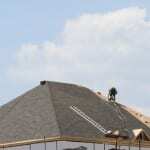 We will make sure your roofing project is done right. This way, your company doesn’t have to worry about your roof falling into disrepair in the near future. We will constantly communicate with you and always make sure your questions get answered. The best part about our commercial roofing services is that we won’t charge your business a fortune for the work we do. We want to make sure that maintaining your business’ roof stays within the parameters of your budget. Remember, these are just a few of the reasons why our team of commercial roofing contractors is the right one for your upcoming roofing contract. To find out more about our roofing services and what sets them apart, please contact us at Slippery Slope Roofing today.